This is the fifth of a five part series where Robert is joined by various technical experts to review the SmartHotel360 demo app, which was used in the keynotes at Connect() last November and is available on GitHub. In this episode, Brady Gaster shows us how adding Mixed reality capabilities provides an immersive experience for hotel staff to visualize data and virtually tour hotel properties. 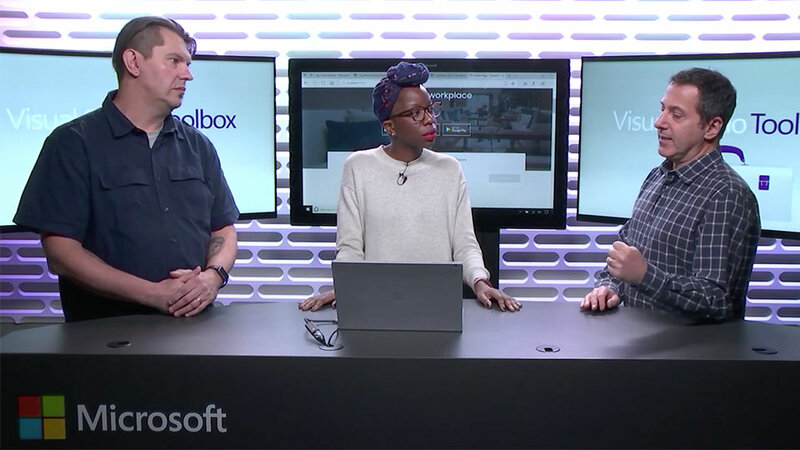 The heart of this application is Azure and the code is built using a microservice oriented architecture orchestrated with multiple Docker containers. The public website is where hotel guests can book a room, smart conference rooms, and even include their accompanying family travelers and their pets! SmartHotel360 offers a fully-native cross-device mobile app for guests and business travelers built with Xamarin. Guests and business travelers can book rooms and smart conference rooms as well as customize room temperature and lighting settings. Travelers need quick access to their rooms. We included NFC access from the SmartHotel360 traveler application and we also created a digital door application to check-in and open your room. Mixed reality apps provide hotel management the ability to visualize data and review proposed changes to the hotel lobby by using both HoloLens and the latest in immersive headsets.